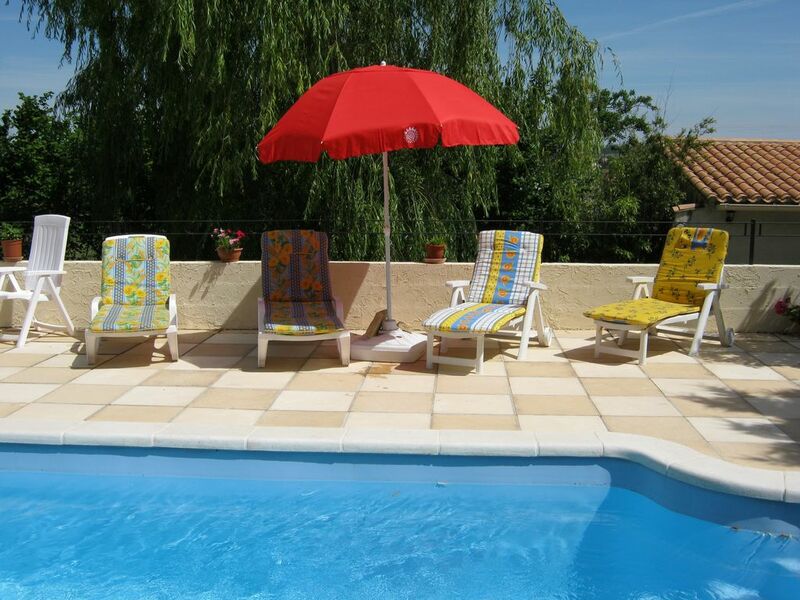 Cottage bungalow with private enclosed garden, and its very own swimming pool with fantastic views from its roof top terrace, to the neighbouring villages and the Mountains Noir. living room with sofa bed and French doors to the terrace,1 step up to the large fitted kitchen, dinning room with French doors to the terrace pool. 2 double bed rooms each with en suite shower rooms/WC electric heating , small outside room for washing machine. 25% deposit for required for booking and balance payable 5 weeks before arrival. I will try and be flexible where flights and other travel, etc, if possible. Please there is a security deposit of 200.00 pounds or €300 payable on arrival which is returnable.following week after departure Any other queries please contact the ManagerJaen directly.